Pakistan is still a sanctuary for the Taliban and the Haqqani network and more of a threat than an ally, a top US think tank has said, while asserting that the Trump administration should make it clear to Islamabad that it will face sanctions if it continues to support them. "Afghanistan is currently doing badly both in the fighting and in its civilian politics, governance, and poverty. Pakistan is still a sanctuary for the Taliban and Haqqani network and more of a threat than an ally," the Center for Strategic and International Studies (CSIS) said in a report released yesterday. Authored by Anthony H Cordesman, CSIS's Arleigh A Burke, Chair in Strategy, the report said there has to be a better strategy and a better approach to both the military and civil dimensions of the war to provide a reason to stay. "No commitment should be open ended. 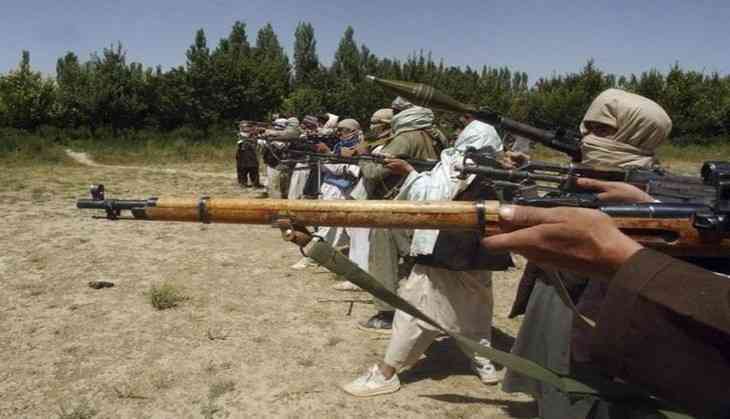 The Afghans have to do far more, and do it far better, to justify each future year of US commitment," the report said. "The United States should make it clear to Pakistan that it faces a total end to aid, and the imposition of sanctions, if it continues to support the Taliban and tolerate the Haqqani network," it said. Russia should be told that any end to US sanctions will depend on it not supporting the Taliban, and the Unites States should reach out to China to make it clear that Chinese cooperation in dealing with Afghanistan and Pakistan can serve both Chinese and American interests, the report said. CSIS said the US should make it totally clear that it will conduct a public annual review of its commitments to Afghanistan and the Afghan performance. "It should make it clear that it can and will leave in the face of Afghan failure. If necessary, the United States should make good on such a threat," it said. "It should send a clear message to all 'partner states' that they must meet reasonable standards of performance. The United States should never bully its allies, but it also should not be bullied -- or let nations slip into the kind of overdependence that ultimately undermines rather than aids them," the CSIS said.